Please RSVP for seat or table. Message on Facebook or email to jasforcountyboard@gmail.com. 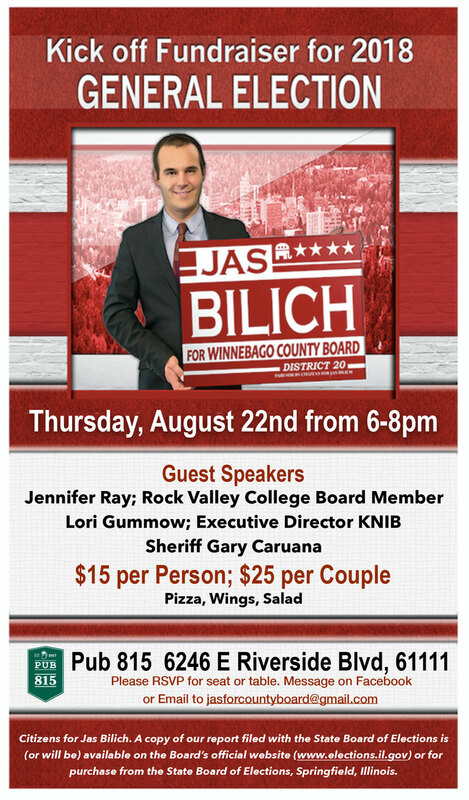 Citizens for Jas Bilich. A copy of our report filed with the State Board of Elections is (or will be) available on the Board’s official website (www.elections.il.gov) or for purchase from the State Board of Elections, Springfield, Illinois.